I will work diligently to ensure the best possible outcomes for your juvenile law case in Troutman. While some things may be contributed to the actions of “typical teenagers,” the unfortunate truth is that some actions can have serious legal repercussions. As a parent, of course you want the best for your children, and therefore promote their safety and wellbeing during every life stage. If you find that one of your children has made poor choices, however, you may find yourself and your child faced with a juvenile law case. Juvenile law is a crucial part of our judiciary system because it helps to address missteps by those who aren’t yet considered adults. Juvenile law attempts to manage and coordinate multiple factors with the best interests of the young person in mind, while also upholding the key principles of justice, fairness, and concern for wellbeing. Whether an infraction is serious or minor, working with me, W. Sloan Goforth, Attorney at Law, can help your family address the actions of those who are underage while also having their best interests represented in a court of law. There are many different outcomes that can be achieved through the juvenile law system; what’s more important is ensuring that the rights of all parties involved are protected and spoken for. As your attorney, I will work diligently to ensure the best possible outcomes for your case in Troutman, North Carolina. 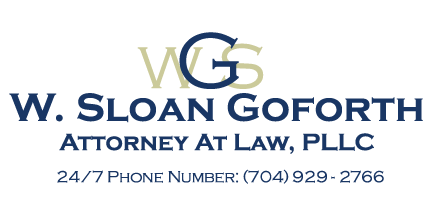 If you have questions about juvenile law or would like to request a free consultation for your case, contact me, W. Sloan Goforth, Attorney at Law, today. I look forward to hearing from you.